Commission Profile : The Kerala State Human Right Commission has been constituted on 11-December -1998 as per sub- section (1) of section 21 of the Protection of Human Rights Act 1993(Central Act 10 of 1994), to exercise the powers conferred upon and to perform the functions assigned to a State Commission under the chapter V of the said Act. Accordingly the Governor of Kerala has pleased to appoint the first commission consists of Mr. Justice M.M.Pareed Pillai Retd. Chief Justice High court of Kerala as Chairperson and Dr. S. Balaraman and Shri. T.K Wilson as Members vide S.R.O no 1066/1998 dated 11-12-98. Commission Profile : Kerala State Information Commission was constituted under section 15(1) of the Right to Information Act 2005, through gazette notification No.80649/Cdn.5/05/GAD dated 19th December 2005 (Gazette No.Vol.L/2731 dated 19-12-2005. The Commission consists of the State Chief Information Commissioner and five State Information Commissioners. Under section 15(3) of the Act,the following have been appointed as the State Chief Information Commissioner and State Information Commissioners and they have assumed charge on the dates mentioned against each. Commission Profile : State Election Commission, Kerala came into existence on 3rd December 1993 as envisaged in Article 243(k) of the Constitution of India. The superi ntendence, direction and control of preparation of voters list and conduct of election to the local self government Institution vest with the Commission. Commission Profile : Kerala Women's Commission acts as a statutary body, performs on all matters relating to women's problems.The commission inquire into the complaints of any unfair practice .Then the commission will recommend to the government,what action to be takenin that matter.The investigations relating to the issue concerning women is carried out by the head of the invesigation wing,Director of KWC. Commission is also responsible to improve the social status of women.The commission ensures to guarantee equal opportunity to women in the state public service and state public undertakings in the matter of promotion sand recruitment and if necessary the commission report or recommend it to the government action. Commission Profile : Electricity Ombudsman is a statutory authority appointed or designated by the State Commission. Any consumer aggrieved by non-redressal of the grievance under CGRF, may approach the Electricity Ombudsman. The Ombudsman has been entrusted with the task of settling the grievance of consumers as per the provisions of KSERC (Consumer Grievance Redressal and Electricity Ombudsman) Regulations 2005. Commission Profile : The Kerala State Electricity Regulatory Commission was constituted under the provisions of Subsection (1) of Section 17 of the Electricity Regulatory Commissions Act, 1998. With effect from 10th June, 2003, the Commission has come under the purview of the Electricity Act, 2003, as the Electricity Regulatory Commissions Act, 1998 has since been repealed. Commission Profile : The Kerala Public Service Commission (KPSC) is a body created by the Constitution of India to select applicants for civil service jobs in the Indian state of Kerala according to the merits of the applicants and the rules of reservation. 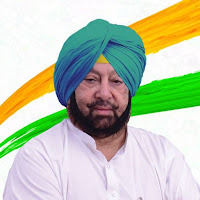 Minister of Punjab from 2002-2007. His father was the last king of erstwhile state of Patiala. He also worked for the Indian Army from 1963 to 1966. In 1980, he won a seat in the Lok Sabha for the first time. 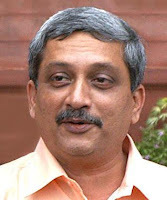 Manohar Gopalkrishna Prabhu Parrikar is an Indian politician from the Bharatiya Janata Party who has been Chief Minister of Goa since 14 March 2017. Previously he was Chief Minister from 2000 to 2005 and from 2012 to 2014. 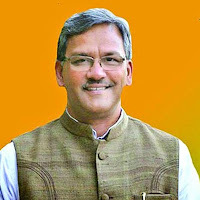 Trivendra Singh Rawat is an Indian politician and is the eighth and current Chief Minister of Uttarakhand. 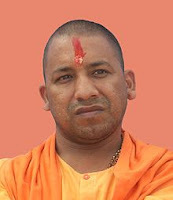 Mahant Yogi Adityanath is an Indian priest and politician with a "firebrand Hindutva (Hindu nationalism)". He is the current Chief Minister of the state of Uttar Pradesh. 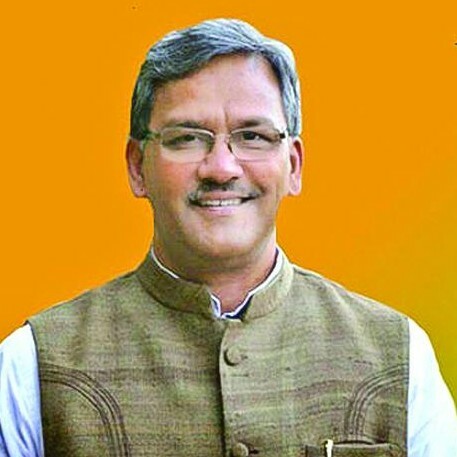 A star campaigner for the Bharatiya Janata Party (BJP) in the state, prior to being the Chief Minister, he has been a Member of Parliament from the Gorakhpur Constituency, Uttar Pradesh for five consecutive terms since 1998. Adityanath is also the Mahant or head priest of the Gorakhnath Math, a Hindu temple in Gorakhpur, following the death of his spiritual "father," Mahant Avaidyanath in September 2014. He is also the founder of the Hindu Yuva Vahini, a militant youth organisation that has been involved in communal violence. PSU : Steel Complex Ltd.
PSU Profile : The State Medicinal Plants Board, Kerala (SMPB) was constituted under the administrative jurisdiction of Health and Family Welfare Department, Govt. of Kerala in 2002, as per the direction of the Dept. of AYUSH, Govt. of India. The aim of the SMPB is to co-ordinate matters relating to the Cultivation, Conservation, Research & Development and Promotion of medicinal plants sector in the State. PSU : State Farming Corporation of Kerala Ltd.
PSU Profile : The State Farming Corporation of Kerala Limited was incorporated in the year 1972 under the Indian Companies Act 1956, to plant sugarcane in the forest land leased out from Government, for ensuring timely supplies of raw materials to public sector sugar mills in Kerala. The corporation is a public sector undertaking under the Department of Agriculture, Government of Kerala. Registered & Corporate Office Address : State Farming Corporation of Kerala Ltd.
PSU Profile : Rehabilitation Plantations Limited or RPL, as it is popularly known is a Joint Venture of Government of India and Government of Kerala, set up in 1972 with the noble objective of rehabilitating the repatriates from Sri Lanka. The Shastri-Sirimao Agreement in 1964 necessitated the repatriation of about six lakhs of people of Indian origin from Sri Lanka. Plantation Scheme, being labour intensive, is one of the most successful schemes implemented by the Government of India to rehabilitate the repatriates. PSU Profile : The Plantation Corporation of Kerala Ltd, the largest Plantation company in public sector was formed in 1962, by the Government of Kerala with an initial share capital of Rs.750 Lakhs. The purpose of establishment the Plantation Corporation was to accelerate the agro - economic development of Kerala. No efforts have been spared to achieve this purpose in the four decades of its existence. PSU Profile : Launched in 1977, Overseas Development and Employment Promotion Consultants (ODEPC) Ltd. is one of the first recruitment agency offered by Government of Kerala. From the very beginning, the company's incorporators aimed into becoming one of the leading manpower agencies, soliciting only the best trained and high skilled Kerallites for overseas deployment. We have been supplying the best staff throughout the globe for more than 3 decades and are committed to providing unrivalled quality of service. That's our bottom line. PSU : Oil Palm India Ltd.
PSU Profile : Oil Palm India Limited was established in the year 1977 with the objective of propagating oil palm cultivation in the country and more particularly in Kerala. From 1983 onwards the Company started functioning as a joint venture of the Government of Kerala and Government of India with share participation of 51% and 49% respectively. The paid-up share capital of the company is Rs.11.78 Crores. PSU Profile : Meat Products of India Ltd (MPI) is a Public Sector undertaking of Government of Kerala. Established in the year 1973, the company holds a category a FSSAI license for the manufacture and marketing of meat and meat products. The products of MPI are derived from young and healthy livestock and are processed by the help of sophisticated technology to ensure high standards of hygiene, longer storage time and more nutritive value.